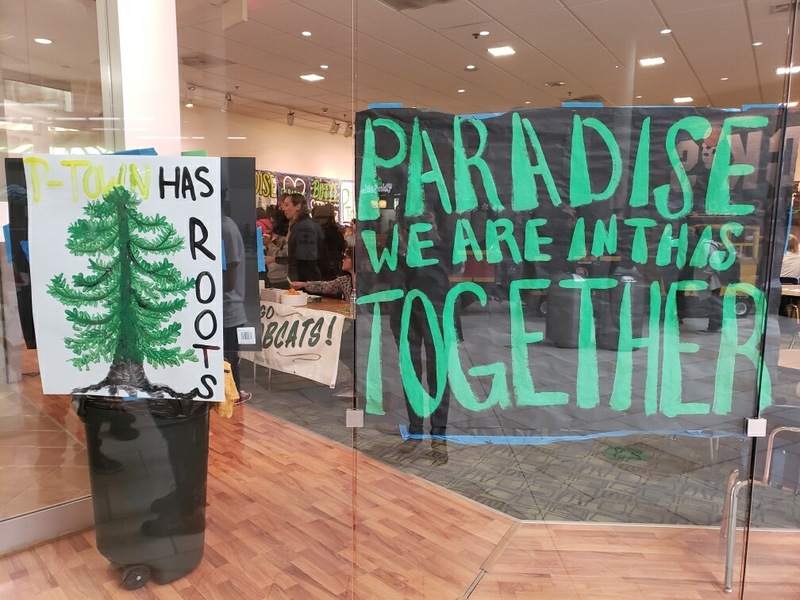 A banner at a storefront inside the Chico Mall that during December served as a drop-in center for students of Paradise High School. The school was destroyed in the Camp Fire. 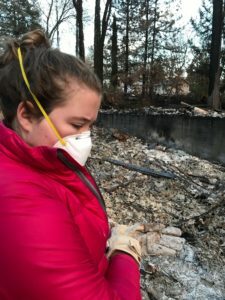 The flames have long since died down, but Fiona Roberts, a high school senior, remains haunted by the memory of being trapped with her mother in a slow-motion race for their lives on the morning of Nov. 8, the day the Camp Fire swallowed Paradise. Driving from their home in bumper-to-bumper traffic on the left-hand side of the road, they gasped at the pop of backyard propane tanks exploding and the sight of embers the size of butterflies swirling in the air. Their fear held its tightest grip as they drove through a wall of flames on Skyway Road, which leads out of town. But the joy faded in the days and weeks that followed, replaced by anxiety and grief. Both of Fiona’s parents, who are divorced, lost their homes in the fire. She began having nightmares — reliving the terror-filled minutes on Skyway Road during fitful attempts to sleep. When the trees started shaking on a windy day, she would, for a second, see them on fire. “I pushed those feelings down because I needed to be a rock for my family,” she said. Fiona Roberts sifts through the rubble of her mother’s home in Paradise, which was destroyed in the Camp Fire on Nov. 8. Fiona is among the more than 2,500 students in Paradise and its surrounding communities who returned to school this month after their holiday break, two months after the deadliest fire in California history killed 86 people and destroyed or damaged nearly 14,000 homes, as well as Paradise High and several other school campuses. Destruction and dislocation wrought by wildfires has become commonplace in California and throughout the American West. But the totality of the loss in Paradise, coupled with the region’s geographic isolation and poverty, make the challenges facing the educators of Butte County unprecedented in many respects, according to experts in trauma and mental health interviewed by EdSource. Like Fiona, many students lost their homes and nearly all of their belongings. Beyond homes, the people of Paradise and surrounding communities lost livelihoods, investments and gathering places. Students are carrying this trauma and loss back into the classroom and it will inevitably impact their ability to learn, say experts in education and mental health. Most students will find it harder to concentrate in class than before, the experts say. Some previously well-behaved students will act out, while others will withdraw. Bearing the brunt of all of this will be teachers, administrators and school staff, including many who also lost their homes and are dealing with intense stress on multiple levels. Fortunately, say Reddam and others, officials mobilized quickly and made addressing trauma and loss a high priority from the beginning. The first gathering of Paradise Unified staff after the fire featured training sessions led by experts in childhood trauma. Also, thanks in part to promises of increased aid from the federal government and the California Department of Education and grants from private foundations, including the Butte County-based North Valley Community Fund, the county office is bringing in more than 20 counselors on six-month contracts. David Schonfeld, who leads USC’s National Center for School Crisis and Bereavement, acknowledged the unique aspects of the situation in Butte County, but said there are a number of things common to all traumatic experiences and responding with the right approach can make a big difference. There is, he said, a tendency to focus too much on the trauma of the event and not enough on the loss, which will impact people in different ways and on different levels. A student whose home was spared by the fire will still have intense feelings of loss if her friends lost theirs and had to move away. The neighborhood playground might also be gone or the local dance studio no longer operating. Another thing to prepare for is delayed reactions. A core component of post-traumatic stress syndrome (PTSD) is avoiding feelings associated with the event, Schonfeld said. As such, “most children who are experiencing adjustment difficulties after a disaster demonstrate no observable symptoms,” he added. It’s also important, Schonfeld said, to be aware that children are reluctant to burden adults who appear upset themselves. Consider Fiona’s statement that she had to “push those feelings down” for the sake of her family. “There is stigma relating to showing emotional distress, and even after a disaster the stigma doesn’t go away,” Schonfeld said. 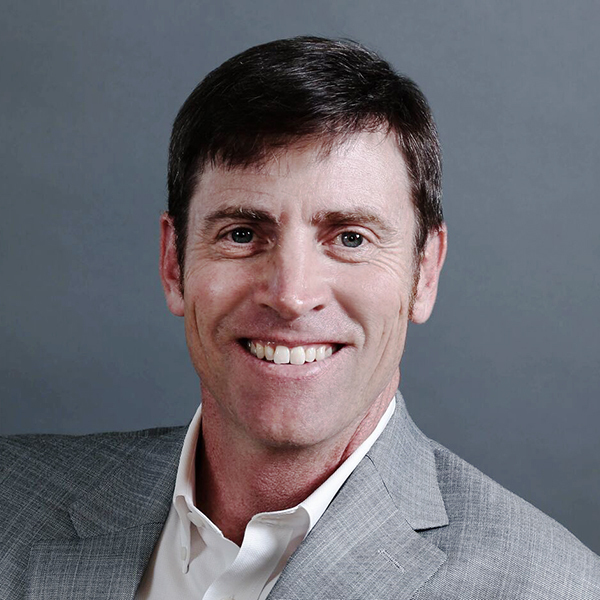 Compounding matters is the fact that before the fire Butte County’s poverty rate and rates of traumatic experiences reported by children were among the highest in the state, Reddam said. Mike Lerch is on the front lines of this reality. He’s principal of Ridgeview Continuation High in Magalia, which borders Paradise. The school was destroyed in the fire, leaving more than 100 already marginalized kids in even more precarious situations. Each of the experts was quick to say that the needs of teachers and other school staff must be given equal attention as those of students. This is why it’s important for school leaders to avoid the temptation of saying that everything is OK when it isn’t or having a pre-conceived notion that the recovery will happen within a specific timeframe, the experts said. Reddam sees success depending on district and county leaders creating a transparent and systematic approach that provides support to everyone. Fiona said she is not feeling nearly as anxious as she was in the immediate aftermath of the fire and is excited to be back at Paradise High School, even if it’s in an office park in Chico instead of the campus in Paradise where she spent the past three-and-a-half years. She’s also prepared for the fact that the people, not just the place, will never be the same. Great article, thank you for the spotlight on trauma and the long long road ahead. I appreciate the candid and honest assessment. I went to PHS, and the school didn’t burn except for a few buildings that weren’t used on the edge of the campus. Everything else is intact. Great article. Thank you. Having had the honor of working with Matt Reddam the week after the fire, I hope the school district continues to listen to him. The people are now “thawing” emotionally and coming to the very harsh reality their world, as they knew it, is gone. Transparency about trauma and recovery is a definite must from here forward. Thanks David! Nice story….Michelle John, PUSD Superintendent.